So support my work and buy a dang thing! More zines and crafts coming soon, and a book a few years out!! 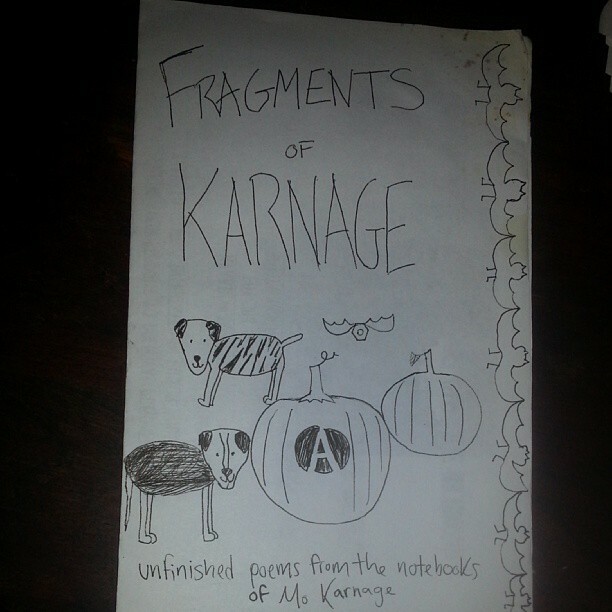 Fragments of Karnage Zine now out! My newest zine, Fragments of Karnage, a poetry compilation is now out. 28 half size pages, black and white, handwritten, compilation of finished and unfinished poems in a variety of formats from my many notebooks, and a few drawings as well. subject matter includes, bikes, queers, richmond, southern, anarchist, social justice, prison, genderqueer, sobriety, veganism, dogs, etc.